After a heart stopping, one run differentiating, last ball thriller final at Hyderabad, the Indian Premier League concluded its tenth year of existence yesterday night. Cricket has never been the same again; since April 2008. IPL’s impact to the game has been much bigger than the mid 1970s Kerry Packer impact or, as a matter of fact, any impact in the history of any sport, followed by millions. It’s success has got multiple sports bodies to follow the franchise model, globally. It’s rapidly growing success has even got rival cricket boards to copy the model, while still criticizing BCCI parallely, all the time. Brain child BCCI did have an extremely futuristic look about this event. Here are eight unique aspects of IPL, which make it an extremely high quality and futuristic competition. A player on the microphone, during an ongoing match, talking to commentators, isn’t new to sports, or even to cricket. However getting player inputs during a fast paced T20 game is always interesting. It adds to the captain’s comments you hear during the toss. Is this concept possible during a football match? Off course it is. Imagine Barcelona’s Neymar or Bayern Munich’s Manuel Neuer giving their inputs while there is a substitution or an injury break going on. IPL uses social media very effectively during the games. 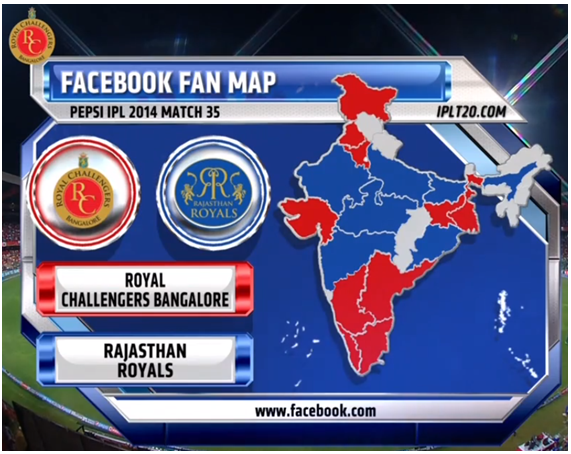 Facebook fan maps or a twitter battle on which player will have a better day don’t really enhance the game viewing experience, but do ensure higher engagement with fans. Imagine if an English Premier League game has these features – specially which countries have majority fans rooting for which club? Won’t that add to the discussion points? The Super fan of the day concept, once again, ensures closer engagement with the fans. Not to forget a lifetime memory of getting clicked with the match winning captain and featuring on television. 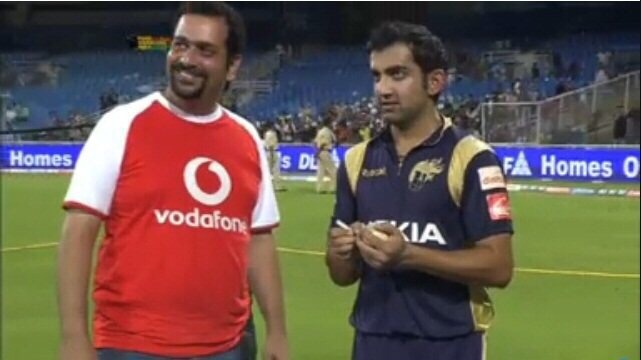 In the picture above my close Friend Ardeshir Talati once came up and close with Gautam Gambhir. Memorable, right? I recently made #FootballPilgrimage2017 to UEFA Champions League game and a La Liga game. What would I do to become a super fan at that stage? Plenty! Every serious sports fan will agree that the eliminator is the fairest way to select two finalists for an event. Top two standings of any league table deserve special status and should be protected if they have one bad semifinal day. Imagine Italy in football World Cup 1990 or Holland in Euro Nations 2000 – brilliant during group stages of the competition but one unlucky semi-final day and a nation’s dream is shattered via a lottery penalty shoot out. The best teams of an event deserve a second chance at the semi-finals stage. No other popular sports competition has a running table on fair play conduct .. but it is a must. Cheating and unsportsmanlike conduct is rampant in every popular sport. Almost every monday the much hyped English Premier League weekend is followed by controversies on diving, elbowing, simulation and pulling jerseys. An award like this will likely increase respect for teams who have been true and honest to the sport. You wont reap the benefits today, but a decade down it will be counted that so and so franchise has won more fair play awards than the rest. The placing of the award encourages kids to believe fair play is the only way. As of today Real Madrid fans feel diving is fine, Manchester United or Chelsea fans feel tacking hard is fine and Barcelona fans feel play-acting and demanding yellow card be shown to opposition are justified. A running fair play table will bust all such myths. Time out isn’t a unique concept to sport, but surely it became a game changer to cricket. Batsmen losing concentration, bowlers coming out with better plan and coaches getting time to talk to the on field players has helped the sport. Imagine in football, how managers stay disturbed and animated on touch-line for entire ninety minutes. Wouldn’t they be more at ease, think and take more notes and talk to the team in more structured manner during a time out? Sure, a time out slows the game. But you rather have a scheduled time out and inevitable advertisements following, than see players play acting to get an extra drink, coaches sending substitutes randomly to change gloves to drink water etc etc. Bollywood presence amongst the Indian Premier League audience substantially enhances the event. Imagine how a Rafael Nadal, David Cameron or a Justin Bieber watching a EPL game makes to the headliner images. Critics will cringe but superstar celebrities in a sports stadium is massive incentive for fans to be awestruck at. That the IPL has successfully been able to pair the two biggest religions of India – Cricket and Bollywood – is major cornerstone behind its unimaginable success. In 2017, they also introduced opening ceremony in every host city – with Bollywood presence. This has to be a first in sport. Here’s a look at top Hollywood and other global celebrities on EPL games – Daniel Craig, Kate Perry, David Cameron, Sly Stallone, Usain Bolt, Justin Bieber are all there! On its eight anniversary, year 2015, BCCI came out with a novel masterstroke on including those Indian cities into the IPL map, that are unable to host a game. 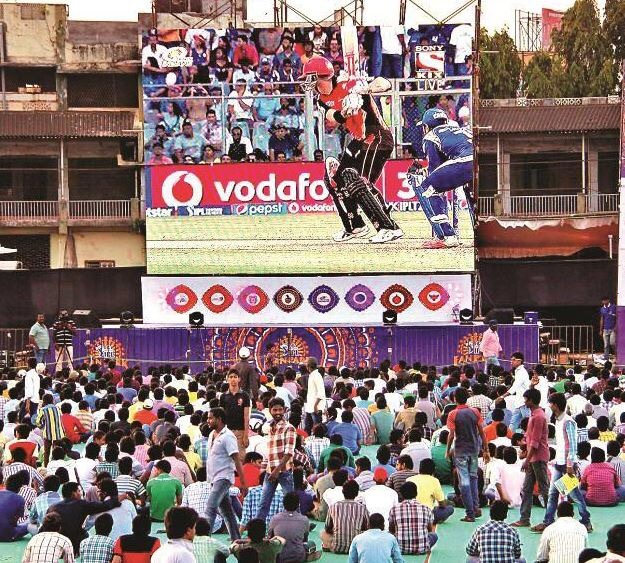 This year, 2017, the IPL fan park concept has spread across 36 cities over 21 states. Setup over large open spaces of land, the entry to fan parks are free and fun element is unlimited. Music, merchandise stalls, yummy food outlets, beverages and lot more make up these parks. These are ideal family outing days for all strata of public as long as they can afford the food prices and enjoy a game of cricket. Big games in European football are commercialized by pubs, often covered by lofty entry charges. IPL clearly has taken the audience passion, a league higher. I have often used the football practices to compare in the above piece. 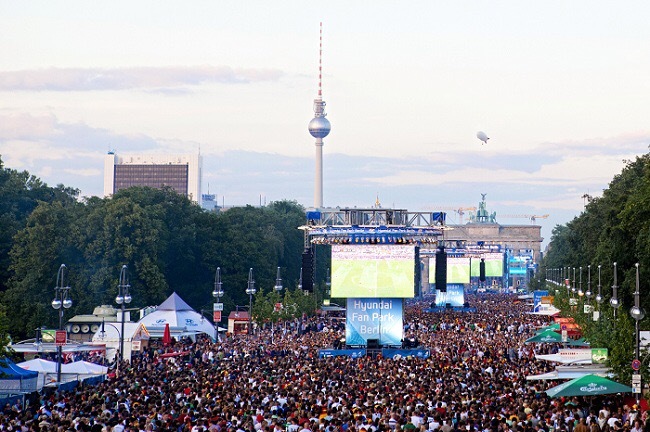 One reason for that is simply because football is indeed the most popular global sport and a benchmark to all sports. The other reason being, even in football, the English Premier League setup self hypes itself up as the most competitive, toughest, very physical league with close top four battles etc. The entire English media, commentators and experts sort of gang up to self praise these aspects in every show, every game, before and after. No other sports setup so brazenly force praises itself. IPL is the undisputed leader in franchise cricket, but you will find much more honesty and humility in the presentation packages. Hence, I felt the need to underline the areas where IPL clearly beats EPL, and the fact that both are being talked in same breath, is an ultimate compliment to the Indian Premier League.